If you’ve ever made a change in IIS and then your websites stop loading, you quickly start looking for a way to restore your last config. Luckily IIS7 introduced a feature called Configuration History that automatically backs up your config when it detects a change. Here’s how to make use of those backups and perform an IIS Configuration Restore, as well as how to manually backup your configuration. 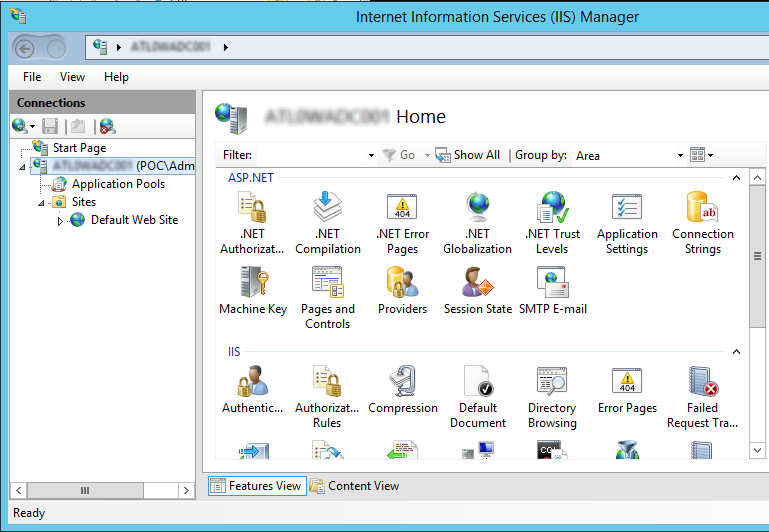 IIS7 introduced a feature called IIS Configuration History. The feature monitored the applicationhost.config, and when a change was about be written to the config, it would create a backup of applicationhost.config. Those backups are stored in C:\inetpub\history and regular flat files. 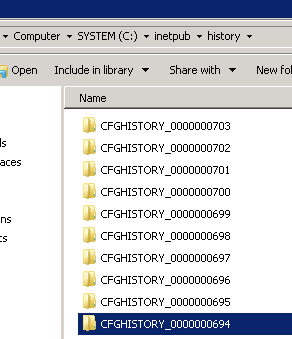 IIS keeps the last 10 copies in this directory, and rolls off the older ones. So even though this is a very helpful feature, if you’re planning to do a lot of changes in IIS you should create a manual backup. Your manual backups will not be rolled off automatically. Creating a manual IIS Configuration Backup is also fairly easy. 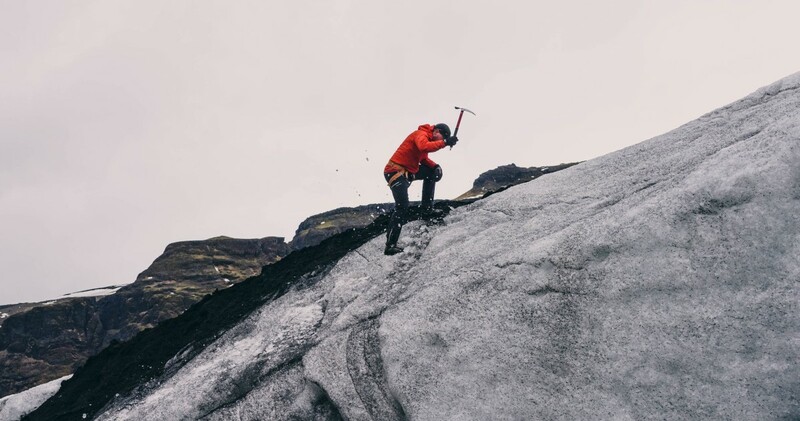 If you’re planning to make some major changes, I would recommend taking a manual backup as part of your backout plan. 1. From the command line, change to the inetsrv directory. Restoring a Configuration Backup is pretty simple using appcmd.exe. Alternatively you can view the backed up applicationhost.config files in c:\inetpub\history using Windows Explorer. 4. You will need to restart IIS Manager to see the restore, but you do not need to restart IIS.